Ashley and Evan’s wedding was an incredible whirlwind. We were so honored to see her name pop up in our inbox because we all go waaaay back – to our grade school days! It’s such a special experience to be as close to our grade school friends as we are because it makes me remember how much life we’ve lived and how our lives have weaved together in the past 20 years(!). We can legit say that we’ve known each other for *decades* which is insane and we’re feeling so #blessed for being a part of Ashley and Evan’s wedding. Thinking back to the actual wedding day, I have so many thoughts in no particular order. First, I don’t know anyone else that can pull off a high bun on her wedding day except Ashley. You were such a glam bride!!! Second, Ashley and Evan’s parents were amazing. Evan’s mom did a ton in terms of the decor – I don’t think I’ve ever seen as many boxwood backdrops, place mats, treats, favors, monograms plus there were over 500 guests to account for which was no small feat. Ashley’s dad had a really heartfelt toast and their father/daughter dance was a fun way to start the party for the evening which you’ll see in the photos. Ashley’s mom is always so sweet and her dress was beautiful. Third, I love the photos in between the ceremony and the reception in Blackstone. The Abbey Road inspired photo is super cool and the pic with the kid in the pizza costume had to be the best part of the day 😉 Four, there was no way anyone would be hungry at the end of the night. There was cocktail hour, dinner, cake, mints, late night pizza, chocolate dipped pretzel rods, cream cheese mints, mini macarons, and I’m sure I’m forgetting a whole bunch more. The guest experience was top notch. And toward the end of the night, I learned that it’s tradition for the men in Evan’s fraternity to sing a special song to the bride which was really cute because it included men of all ages 🙂 We are so happy for Ashley and Evan and couldn’t be happier with how their day went! On the coordinating side of things, there were so many details and moving parts since they had different venues for the ceremony and reception plus different getting ready locations on top of that! It was a beautiful day and St. Vincent de Paul is a beautiful wedding ceremony location. It has great high ceilings, good places for the bridal party to hang out, outside makes for a stunning first look backdrop, and there’s a ton of room for guests to stand for special exits. The Hilton downtown was perfect for Ashley and Evan’s reception. The decor went perfectly with the space, the cocktail hour was completely separate from the reception space which made lighting candles and putting the finishing touches on the tables very easy. They had the head table on a stage which was really nice because there had to be over 40 guest tables. Despite all the details and places and spaces, the wedding felt pretty seamless for all the guests and we are thankful for that! Enjoy – this post definitely set a new record for most pictures so there’s a lot of pretty to scroll through! 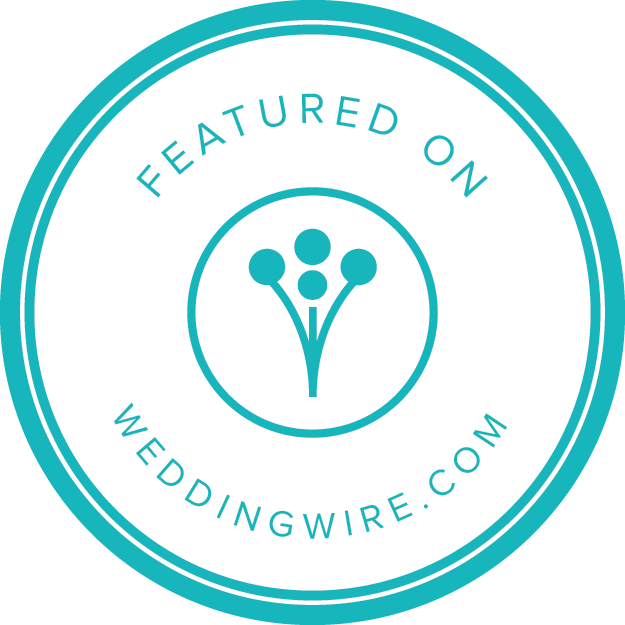 Featured in Nebraska Wedding Day Magazine!